Posted February 25th, 2013 by David Porter & filed under Hot Topics, MailBigFile, Social. It’s thought that tablets were the biggest seller last Christmas and everybody assumes that adults (mainly 16-29) are using them the most. In fact, it may be that kids far younger have become masters of the iUniverse. She can get to Level 17 on Candy Crush and ‘negotiate her way from the Angry Birds app to Angry Birds cartoons on YouTube.’ And this is probably nothing remarkable nowadays. Older people have long known to ask a youngster for help with their technology. It used to be teenagers they asked, now it’s pre-schoolers. The child is the typical iKid of today, it seems. Hodge suggest viewing on YouTube a 1-year old toddler playing with both a tablet and a traditional magazine – ‘a magazine is an iPad that doesn’t work’. It’ll make you think. Parents use devices to get some peace to do housework chores. They are filling them with educational games and learning and console their inner consciences with the thought that at least tablets are interactive. Some parents have been known to allow young children to play with touch-screens to get a little bit more time in bed in the mornings. Children love the rapid responses of touch screens, and which parent would absolutely condemn others for the way their children have been allowed to take over in this realm? What very young children need is lots of ‘moving, grasping, using the whole body,, touching and sensing’. The warning is that if you don’t use all your abilities, ‘you lose them’. The American Academy of Pediatricians has declared that TV should not be shown to under two year olds, and may yet recommend a similar prohibition on tablets. Older children in some places are being given iPads as part of their learning. The Boweds Primary School in Enfield is one such place. Hand-held devices have been issued widely to help juniors and teenagers use technology to improve their physical fitness and sports abilities while at school. The problem for parents, and ultimately for society, is when kids are left unsupervised on tablets. Solo play like that is not conducive to imaginative learning, social interaction or communication skills. So, parents beware, stop leaving the tablets lying around. 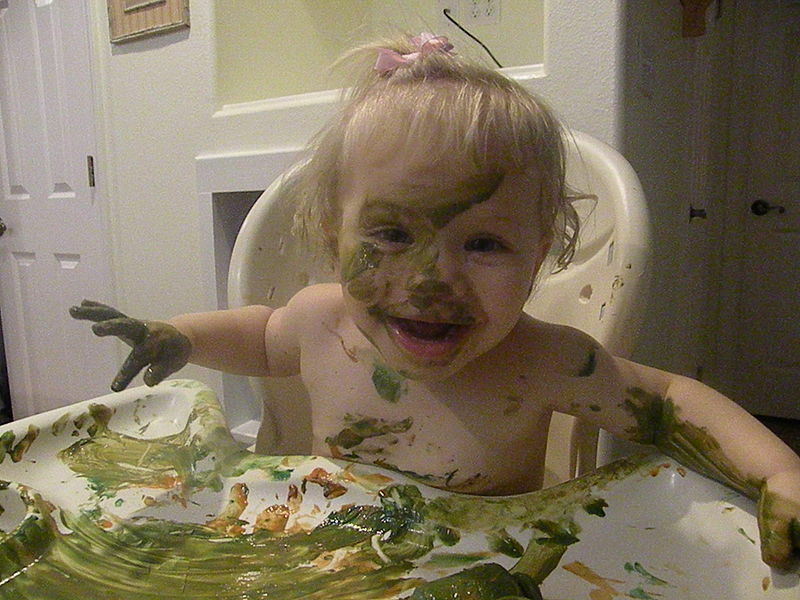 What’s the best play environment for toddlers – mess or devices?